The Male Model Music Project: Roberto Cavalli Men Autumn/Winter 2014-15 People! 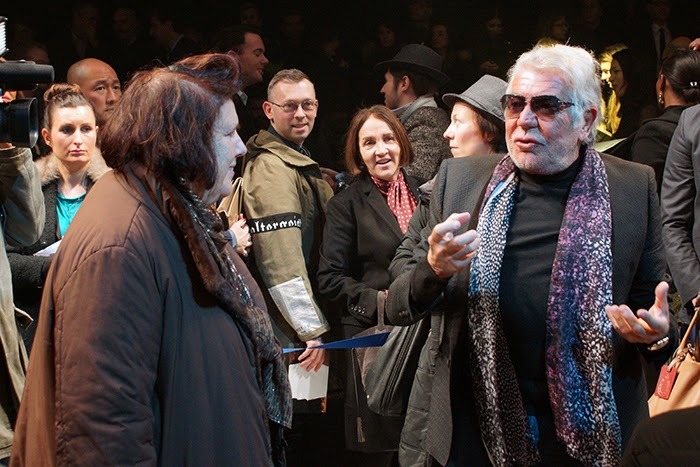 Suzy Menkes & Roberto Cavalli having a funny conversation before the show. 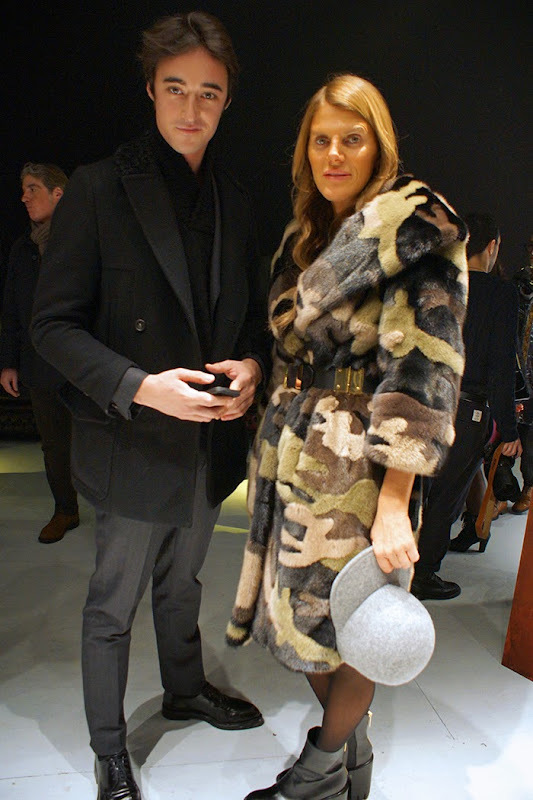 Daniele Cavalli & Anna Dello Russo.